Lovely stay, the staff were very welcoming and nothing was too much trouble. The pool and spa facilities were excellent and the room had everything we needed. The breakfast was great and Mary saw to all our needs in the restruarant. Having been visiting for over 12 years( approx 3 times per year) with our 4 daughters . Always get a warm welcome back from staff. Hilton group should feel proud to have such a hard working loyal workforce. stayed in this hotel for 3 nights as a couple was pleased with check in and room but hotel was under staffed. and was woken up by a barking dog at 7am monday morning as hotel allows dogs other than that was good value for money. A very historical manor house, very big n nice hotel with sheep farm in front, the backyard is a huge garden with maze garden, beautiful lake. Very nice hotel. The thin pillows and really tired decor and equipment in the room let down the rating. The shower was leaking, the room was clean but needed repainting and requipping with old fashioned TV and no airconditioning and no fridge although one had been present in the past!! The staff without exception were pleasant and helpful and the breakfast chef could no have been nicer ,more efficient or produced better eggs to order. The buffet had a good range of food which was cooked properly and replenished as necessary. As in almost all hotels the doors are not sound proof and very difficult to close quietly even if you try and many people don't!! The grounds to the rear were in need of care and attention and some control of the rabbit population!! a fine hotel with very pleasant and helpful staff and an excellent menu choice in the dining room, the only complaint I have about the hotel is the lack of an elevator and as we were located on the second floor we had a long walk along hotel corridors and then a walk upstairs the rooms suffered from the lack of air-conditioning and no fridge to keep our drinks cold on some of the hottest days of the year, and the small fan in the room was of small use in the hot humid nights but overall we enjoyed our stay at the hotel and would not hesitate to recommend the hotel to my friends. We had a very good price for this 4-star hotel. 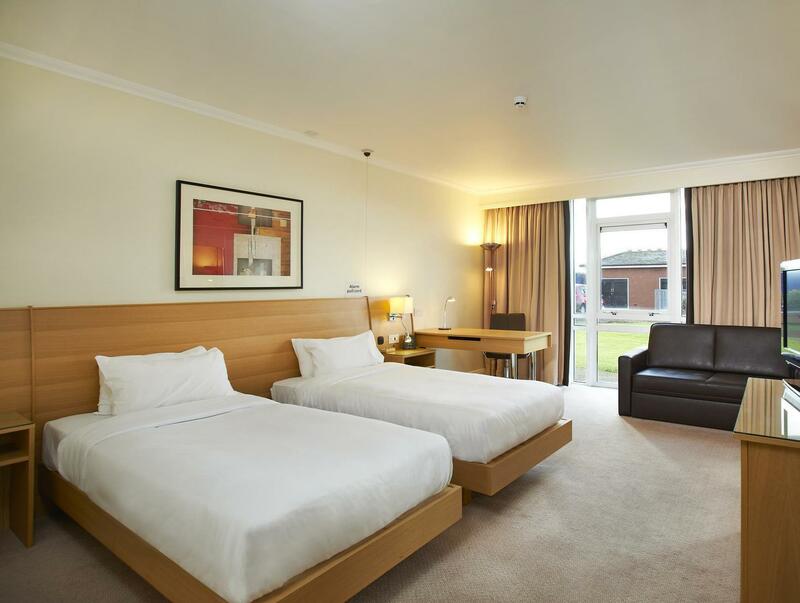 the room is very spacious and very clean and the location is very convenient for us to go to Silverstone Circuit the next day. 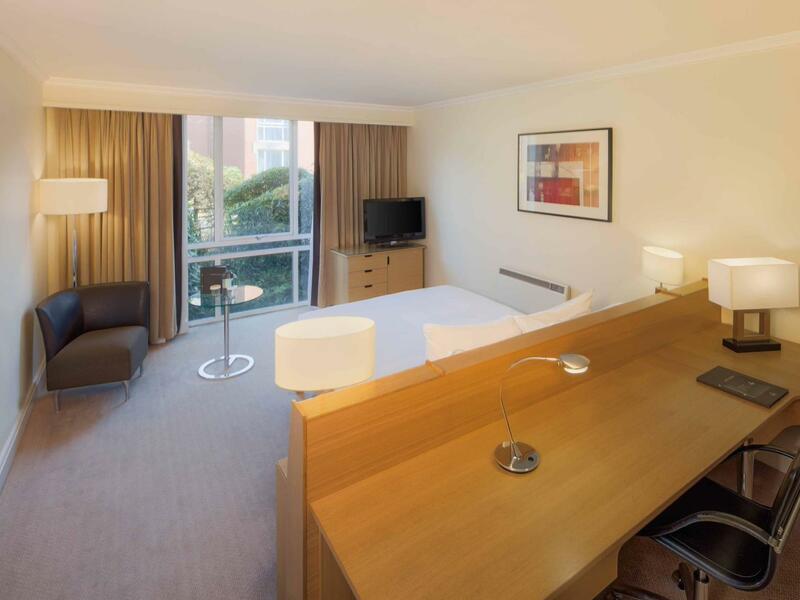 Would definitely stay here if the price is the same as the one we got from Agoda. Enjoyed the exp. of staying with two very small children at the Hilton, the kids were happy and we had a most related and enjoyable few days stay. 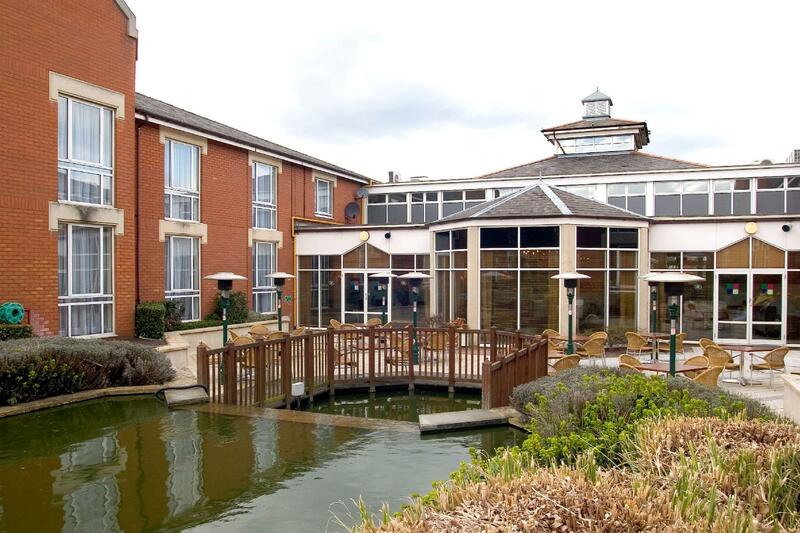 Would highly recommend Northampton Hilton to anyone I talk to and planning to stay there longer next time. 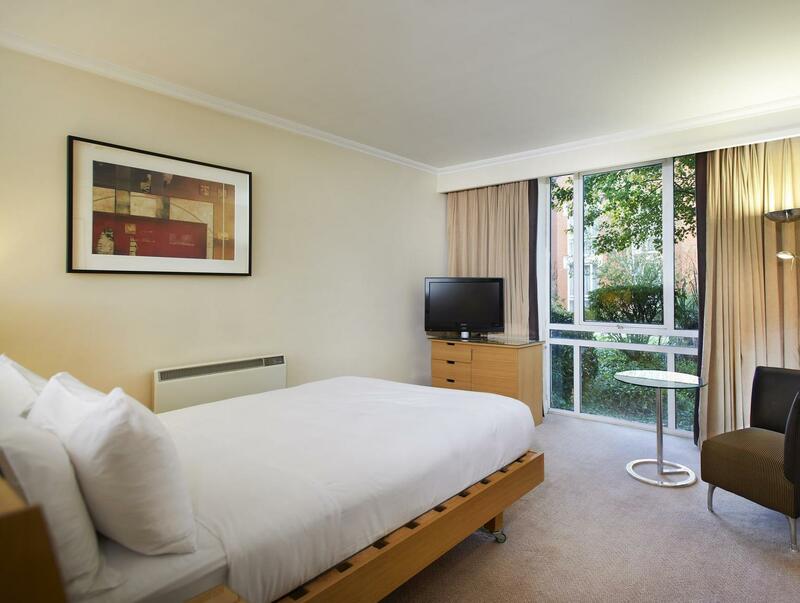 Very nice stay at Hilton Northampton with free parking. The receptionist is very helpful. We stay in a triple room. The beds are large and comfortable. Staff are lovely. Helpful -did nt phase them when my 3 year old vomited down a flight of stairs. Room very good size. Breakfast great. Staff very lovely. Only negative some of the rooms need a little decorative updating.